FEB 22, 18 .. THE BACKYARD GARDEN OF OUR BEST FRIENDS IN PHOENIX, ARIZONA. This afternoon Patti and I visited our very best friends, Loran and Gard, who live in the City of Scottsdale, located here in the Phoenix, Arizona, metro area. Gard is a Master Gardener beyond the ranks of any gardener that I have ever met or known. He is a member of a famous cactus garden club and has spent many years studying and cultivating the amazing cacti who thrive here in the Arizona desert. Each and every single plant in his garden is a personal friend of Gard. He explained to Patti and I many of the unique individual features of the plants, many of whom have been with him for decades. From the plants he harvests cuttings which then become adult plants themselves. With no further words I present to you Gard's Magnificent Garden. FEB 14, 18 .. A SENTIMENTAL RETURN TO THE MAYO CLINIC, PHOENIX, ARIZONA. On November 25th, 2016, while in the Dubai Airport, in the United Arab Emirates, I fell and broke my left hip. It would be a drastic understatement to say my life changed in that instant. I was able to board my flight from Dubai to Hong Kong and arrived into Hong Kong safely. My Doctor advised me that my hip was indeed broken and recommended immediate surgery. 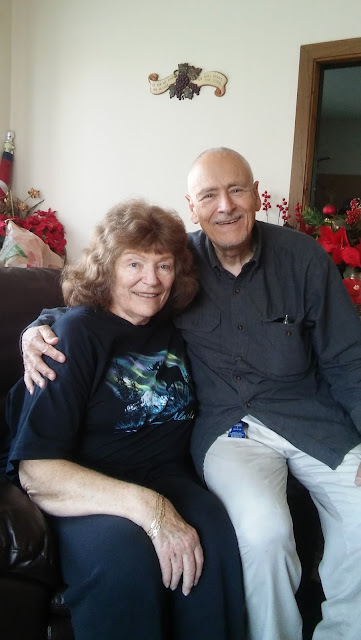 Patti (with amazing effort) was able to get me scheduled for admission into the Mayo Clinic here in Phoenix, and, with 'Zilla's assistance, I flew comfortably (well as comfortable as one with a broken hip can manage) from Hong Kong to Seattle and then from Seattle to Phoenix, Arizona. I had hip replacement surgery on December the 1st 2016. 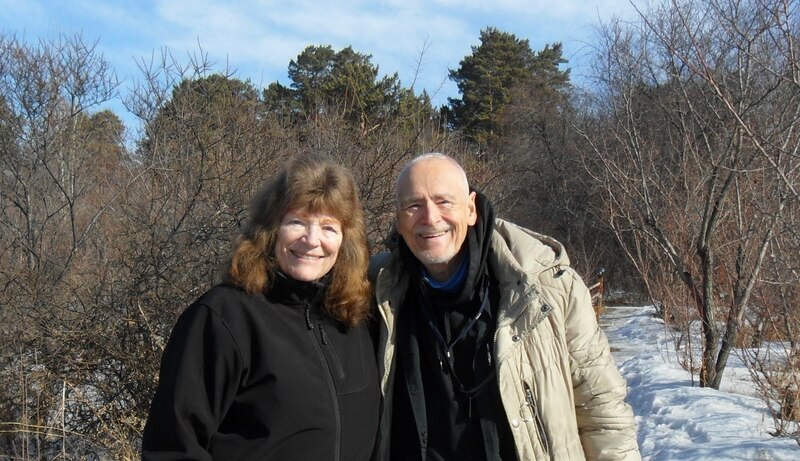 Today, well over one year later, Patti and I revisited the Mayo Clinic as part of several follow up medical appointments regarding my left hip (routine one year checkup) and my male osteoporosis and my left kidney issues. It was a very emotional return this afternoon. Both Patti and I were, at times, overcome with emotion and on the verge of tears as we were taken back mentally and emotionally to last year and all the drama that went with my broken left hip and blood clots in my right lung after the surgery. There, in the distance, is the Mayo Clinic Complex in Phoenix, Arizona. Actually it is close to, but not quite in, North Scottsdale, Arizona. There is a very nice cafeteria at the clinic, one Patti and I really enjoy eating at. Looking to the right of the above photo is a very nice cactus garden. Stepping into the lovely, outdoor seating area. The temperature was a wonderful 70 F.
In the far corner is 'our' table. To 'die-for' good food. A salad from the salad-bar and two (naked with no buns) hamburger patties. Oh yes, yes indeed, as I wrote above, Patti and I did some 'other things' while we were out at the Mayo Clinic. Both of us had hip x-rays taken and I had some blood work done. We also rearranged some of our doctor appointments. Thanks so very much for coming along with us on our very.. SENTIMENTAL JOURNEY BACK TO THE MAYO CLINIC. Thank You, each and every single one of you, who have the interest to follow along with us on our travels and adventures.